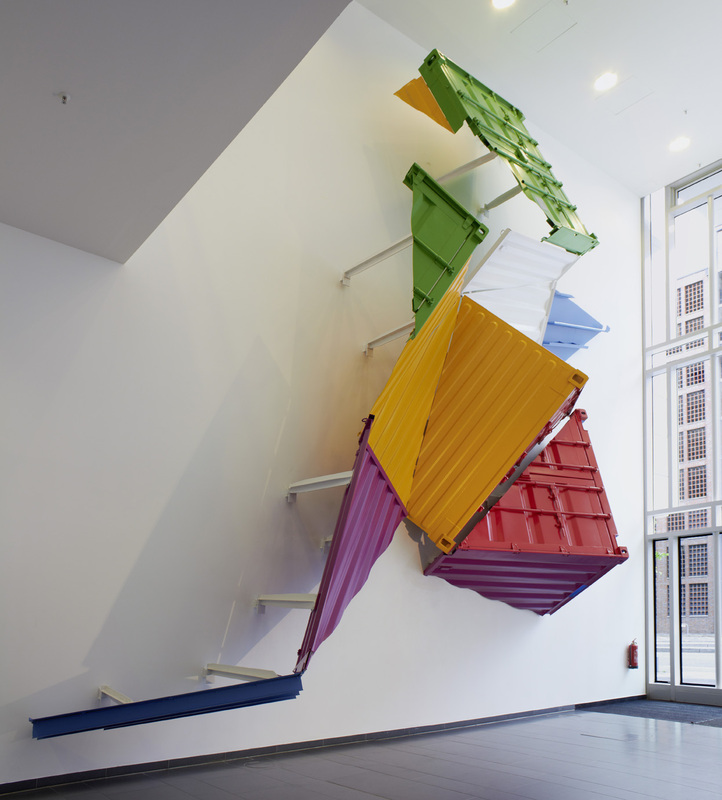 A 10-foot ISO container is disassembled and cut into fragments against its own rectangular geometry obeying the golden ratio. 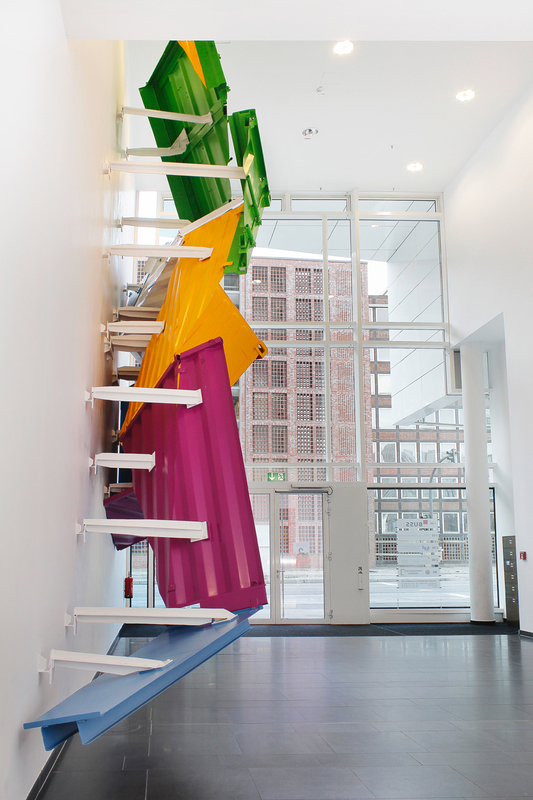 The parts are mounted in the lobby of the Hamburg-America-Center in Hamburg’s Hafencity as a massive and monumental relief. 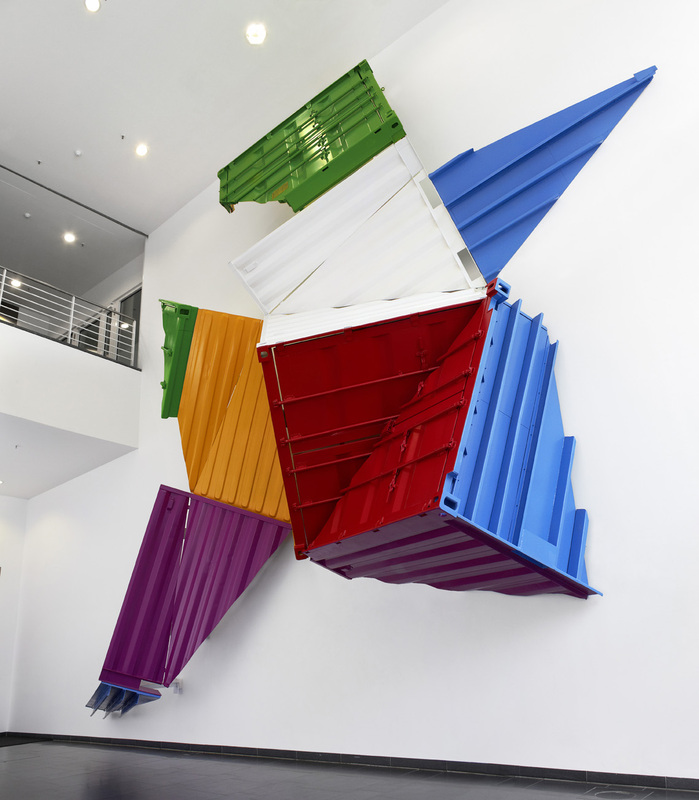 Each face of the originally cubic container is painted in a different color referencing the identities of different global shipping companies.